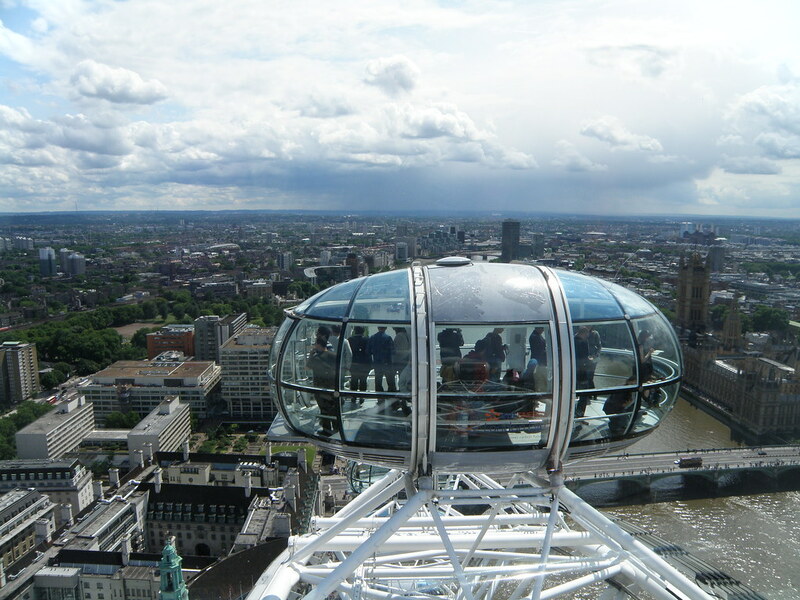 I lived in London, and when ever I had visiting guests, I took them to the London Eye. I always found it hard to get some perspective on London, it’s just so huge and spread out. And using the Underground to travel makes getting around easy, but geographic locations seem out of real scale and proximity. So, the first thing I would do when I had guests is to get us on an early morning London Eye flight, or a Champagne Sunset capsule flight. The leisurely 30 minute flight allowed me to point out some major points of interest in London, and sometimes enjoy a nice glass of Champagne quietly with a friend. The intimacy of the capsules make it fun if you have a small group. Claire and a Friend on The London Eye – Champagne Flight – Cheers! The cost for a Standard ticket is about £20 – that’s a good price – compared to some other over priced view attractions. The Champagne Flight is around £35 – and the only way to enjoy the sun setting on this British Empire. The London Eye is situated on the South Bank of the river Thames, opposite the Houses of Parliament. The ticket office is located inside County Hall, which is the building directly next to the London Eye.